Wednesday or hump day as it has been known, isn’t one of my favourite days so today we are going to banish that feeling with the brand new beautiful French Fantasy wedding invites range from Ananya Cards. Ananya Cards is a bespoke designer of personal stationery for significant life events including wedding stationery, thank you cards, and birth announcements. In addition Ananya Cards designs Diwali and Eid cards stocked at UK nationwide retailers including: Harrods, Paperchase, and Cards Galore. It was founded by designer Vaishali Shah who felt that there was a gap in the market for high-end, multicultural personal stationery. With destination weddings on the rise, Ananya Cards provide wedding stationery solutions for couples all over the world, taking into account the local traditions, style, culture and landscape when working with couples for their destination wedding stationery. 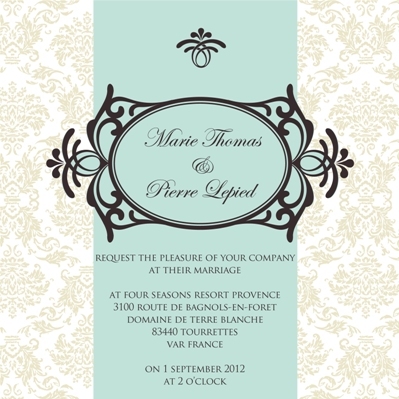 These new designs ‘French Fantasy‘ have beautifully captured aspects of the charm, beauty and romance that France as a wedding hotspot is synonymous for. 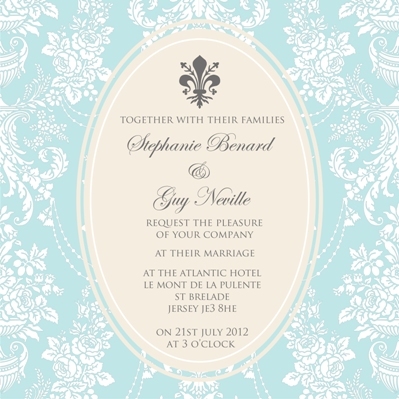 The French Fantasy designs encapsulate its many styles, colours, designs and textures. 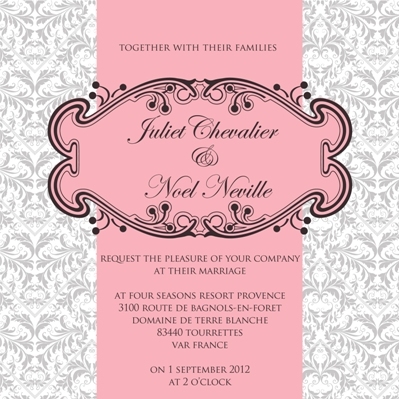 Whether it is the aroma of lavender wafting through the warm Provençal countryside, or the ultra-classy fashions of Paris, finesse and romance are woven into all our designs. 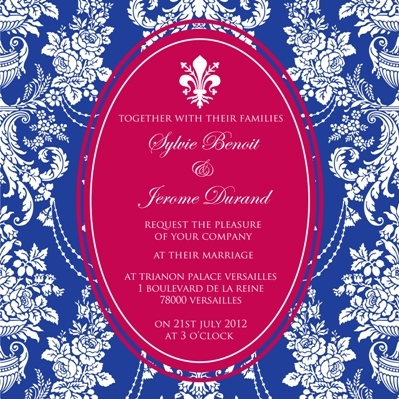 Some of the designs also evoke the rich history of France by incorporating the fleur-de-lys. 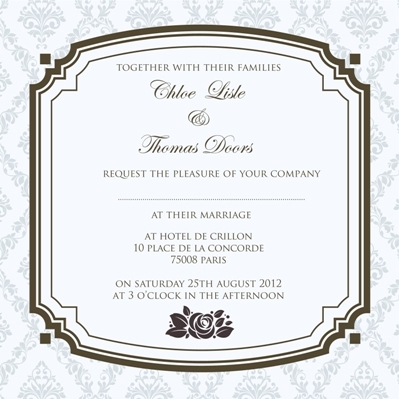 Suitable for both a country style fairy tale wedding, an opulent city wedding or a shabby chic wedding, traditional as well as contemporary, our designs are belle and chic, like France. 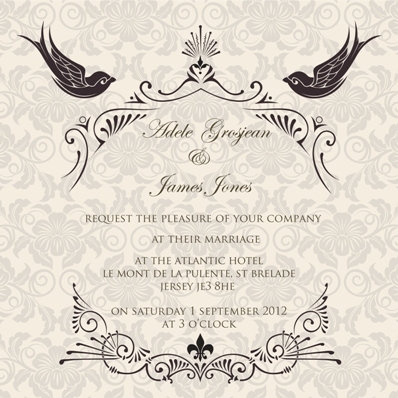 All designs in the French Fantasy range start from £4.00 for a wedding invitation and are available as part of the bespoke service offered at Ananya Cards. Choose Ananya Cards for your complete wedding stationery provider; choose from save-the-date cards, invitations, menus, table planners, name cards, thank you cards and order of service booklets. For more information please visit www.ananyacards.com or follow Ananya Cards on Twitter or Facebook. 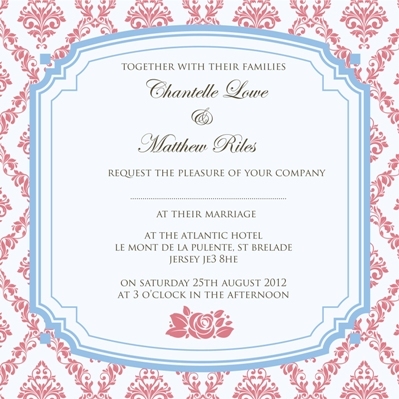 I love the chic stylish range, that will arrive with your guests and set an elegant tone for your wedding. Which one is your favourite?